Lois Smith, The National Ballet of Canada’s (NBoC) first prima ballerina, died at her home in Sechelt, BC, on January 22nd after a lengthy battle with Alzheimer’s. She was 81. Smith and then husband David Adams forged a charismatic partnership that dazzled audiences during NBoC's first decade. The media dubbed them “Mr. 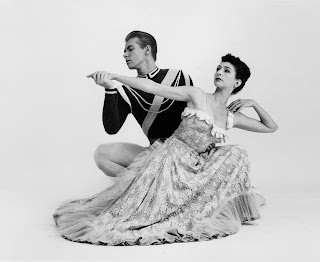 and Mrs. Ballet.” Dancing on stages great and small across North America as well as on CBC Television, Smith helped establish NBoC’s reputation as a credible classical company. “She had a beautiful body, grace, line and poise,” recalls Grant Strate, a fellow NBoC charter member and its first resident choreographer. “Lois was truly a ballerina from Day 1.” Smith performed all the major classics but was also much acclaimed as Catherine in Antony Tudor’s masterwork, Lilac Garden. After Adams severed his connection with NBoC in 1963 to dance in Britain, Smith was often partnered by Earl Kraul until chronic injury compelled her to retire in 1969. Smith then opened her own school in Toronto, which was later integrated into the Performing Arts Program of George Brown College. A Vancouver native, she returned to her home province in 1988 but remained active in the dance community as a guest teacher, adjudicator and advisor.